All of us have obstacles to overcome. Some are smaller than others, but each of us have them. It’s not the problem, it’s the method of resolve. You can fix almost anything you want to. You just need to want it badly enough. It’s always going to be the effort and how that effort is applied that will propel you to personal success. 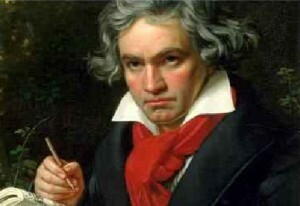 Beethoven considered by many to be the most influential composer of all time, was actually told he had no musical talent and should give it up? He was told this by none other than one of his teachers. And yet, he didn’t give up, in fact, it is likely that doubt fuelled his own belief in himself and his talent to take him to stratospheric heights. 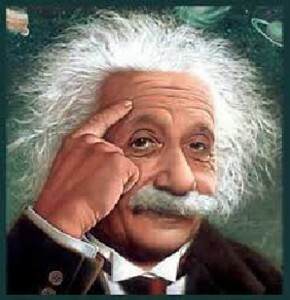 Albert Einstein was told that he was a lazy student with a less than average IQ? This is the same Albert Einstein we know today as the Father of Modern Physics and one of the most prolific intellectual minds in history. Warren Buffet showed interest in business investment but his parents were cautioned by a tutor early on that their son should not pursue anything to do with investments as he was not qualified in that field. 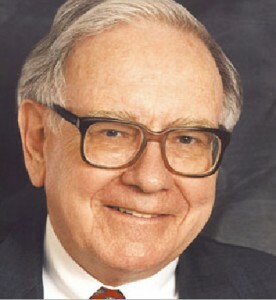 Warren Buffet is renowned worldwide for his investment strategies and ranked in 2011 as the third wealthiest individual in the world. Clearly Beethoven, Einstein and Buffet could have believed the obstacles that others threw in their path. They could have given up or given in. Yet, they didn’t. They kept going on the path they believed in. You also will no doubt, experience obstacles. 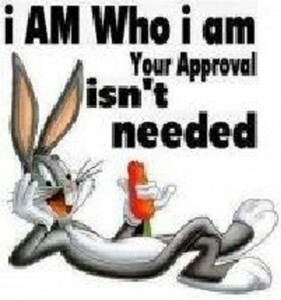 The buzz and opinions directed at you by others can destroy your value and stand in your way…. or you can harness that to empower yourself. Take it as a personal challenge, give yourself short-term and long-term goals. This will provide you with a self inflicted timeline that provides a previously unimagined ability to achieve. The lesson here is that your belief in yourself is a far greater predictor of your success than anyone else’s belief or opinion. This is absolutely true. You are not the sum total of other people’s opinions of you. Instead your achievement, your place in life, your success in business is based on YOUR opinion of yourself. Never allow another person’s opinion to slow you down, let alone stop you. I’ve been there, most of us have, and done that. All I lost was time, focus, and yes a measure of success. The times that I didn’t listen and instead leapt forward powered by my own belief, I achieved my dreams, and you will too. This is far less about passion than it is about focus, commitment, and persistence. Without those three elements you will wind up wandering about your life, chasing bright and shiny opportunities, and doubting yourself and your abilities every time someone expresses their opinion that doesn’t align with your belief in yourself. What you become is up to you. How much you accomplish is entirely at your discretion. No one can stop you with mere words when your belief in yourself is unstoppable and far more than words.Take a page from the book of the greats, truly create your commonality with Einstein, Buffet, and Beethoven and prove the doubters wrong. You are in charge of your own personal destiny. I went to visit Uri Geller and he showed me around his home, I left with a large piece of amethyst rock taken from his garden, a stone which represents protection. I keep it in my car. 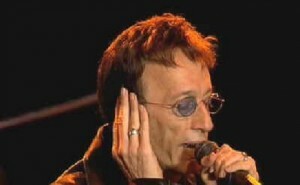 Uri is an inspirational celebrity magician, psychic or international spy according to what you read or believe. After a few hours talking about design, life and business plus a private tour around his home, he gave me a small white Einstein crystal. Einstein famously kept a bowl containing115 small crystals on his desk for inspiration. Uri Geller bought the crystals at an auction. I now own one of those crystals. I thought about what inspired me to succeed in life, why I do what I do. Friends say I have done enough and I should stop and enjoy life. Of course I want to achieve my personal best, I want to make money beyond what i need as a necessity, i want a better life and I want it for my daughter more than I want it for myself. But I always remember where I could be had I not worked my way out of it. So I placed the white crystal which represents hope and kindness in a Mothers Day envelope I had kept for years on which my daughter had written ‘number one mummy’ and I placed it among my private papers. It’s not big, it’s not expensive it’s just representative of generosity, innocence, hope and love combined with tenacity and opportunity. Its precious like my family. It is all of this and more that makes us successful. You must punch above the crowd to stand out. There will be people who will try to prevent your success, steal your work, ideas and try to prevent your success. Not everyone has the benefit of a happy home, support and backing from a tutor or a financial sponsor. This charity aims to help those that want to succeed ….above anything else while campaigning to change identified barriers and obstacles within the creative industries. This is the category of your overall concentration. If you get this right, you can expand and diversify into different areas of talent and opportunity. Build a reputation in a specific area of expertise. Commitment : the state of being committed an obligation, promise, etc. that restricts one’s freedom of action. You need to be dedicated 100% to success. You must listen and research to ensure you remain focused and strategic. Commitment without review could direct you down the wrong route. Do not become a committed fool. Persistence : the quality of persisting; tenacity, continued effort or existence and persistence of vision. Keep reviewing your achievement and master-plan to measure and ensure you are on target. In conclusion, you achieve your personal best and you will find personal success when you plan and set goals. Sometimes, not always …but sometimes, very gifted individuals achieve global success and on almost every occasion it is based upon self belief, planning and talent. Of course a helping hand from the specific industry and individuals will improve the odds. Without being seen, how will anyone know how great you are? The trust was formed to provide a platform for emerging talent to promote their skills to industry leaders of creative industries. It positions talented people in front of decision makers that can make a difference to the lives of talented and unknown people.